Tesla Motors is a pioneer in manufacturing electric-powered cars. But it is not taking the auto market by storm. Its first model, the Roadster, costing over $100,000 per vehicle, sold only 2,400 actual cars in 31 countries from 2006 until production ended in 2012, despite extensive federal subsidies for electric car purchases. Its new model, a full-size luxury sedan named the Model S, is doing better, costing about half as much as the Roadster. Tesla sold about 25,000 of these worldwide in 2013. Performance of these vehicles is competitive with ideologically maligned gas-powered cars – but the products are heavily subsidized, by both federal and state tax credits of up to $20,000+ to consumers, and zero emissions credits totaling tens of millions of dollars to the company. Electric cars follow the practice of most “green” developments, going back to old technology, like windmills, adding fancy, modern gadgets, and ballyhooing it as a futurist breakthrough. Tesla is named for 19th century electricity pioneer Nikola Tesla, who worked for Thomas Edison among others, and helped develop the modern AC current electricity technology. Tesla Motor Company auto batteries are a contemporary descendant of Nikola Tesla’s 19th century battery technology, which fueled an early competition with gas powered vehicles that gas won out decisively. While the jury is still out on whether consumers will buy electric cars en masse, given their limitations and the reality that subsidies are likely to eventually end, people should be free to buy what they want, for whatever reasons. And legally free to sell what they want as well. Tesla Motors is also pioneering a new sales model for autos, as the only automaker selling directly to the consumer marketplace, rather than through franchised auto dealers. However, while the automotive marketplace is not currently a free one for Tesla, neither is it for franchised dealers, who are drastically limited in their ability to negotiate freely with manufacturers, due to antitrust prohibitions against them. The dealer system was originally developed on the thinking that franchised dealers would have stronger incentives and knowledge about local markets to sell cars in those markets. But the dealers soon learned that despite their investments in land and capital, they were at the mercy of the manufacturers, who could replace them, or start up nearby competitors, if they were displeased. With the U.S. economy in deep recession in 1920, Ford kept its plants operating at full capacity, and mandated dealers to continue to take their full shares, even though they could not sell those volumes during the downturn. Individual dealers quickly recognized they would be displaced if they resisted. Both GM and Ford maintained this practice during the Great Depression. The dealers became a cushion for the carmakers, forced to absorb any losses during economic hard times. Dealers, prohibited by the Sherman Antitrust Act from retaliating against manufacturers by banding together to negotiate their contracts, instead retaliated by winning state regulation restricting dealer termination, controlling nearby direct competition, and in some cases prohibiting direct sales to consumers by manufacturers. That also effectively prohibits direct manufacturer sales online, though many dealerships provide online shopping. Tesla is probably right that it has better incentives and knowledge to sell its new technology unfamiliar to consumers. Governments should not interfere with the free choice of manufacturers in this regard. But simply repealing the dealer franchise laws, as some on the right have suggested, would not leave a completely free market in its wake. Dealers would not be free under antitrust regulation from joining together in contract negotiations to match the market power of car manufacturers – despite the fact that dealers have invested more than $200 billion in land and facilities to retail those products. The last time dealers joined up to confront manufacturers over abusive practices in the mid-1990s, the U.S. Justice Department opened an antitrust investigation, and intimidated them into backing off. Antitrust can continue to prohibit horizontal dealer price fixing and similar restraints for sales to consumers. But the dealers should be free to join together to negotiate against abusive carmaker treatment as they suffered in the past. That would require federal legislation providing for an antitrust safe harbor for auto dealers in contract negotiations with auto manufacturers. 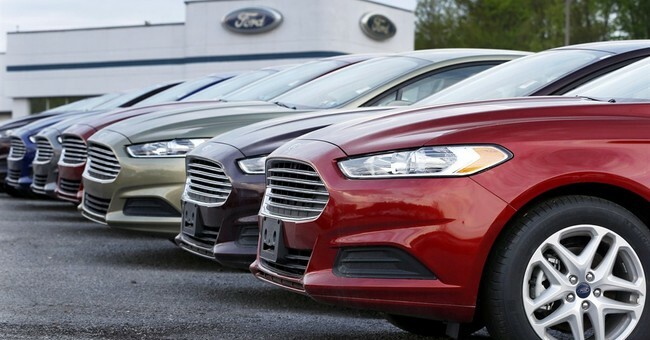 That modest antitrust deregulation would further promote a truly free market in auto sales. But repealing state franchise laws without antitrust protections for dealers would be a case of the government picking winners and losers.